The Yellow-vented Bulbul (Pycnonotus goiavier) or locally known as Merbah Kapur, is a common urban bird that has been successful in sharing habitat with two legged monsters (aka humans). The family of Bulbuls (Pycnonotidae), which are generally found in Asia and Africa, are mainly fruit-eating birds, but do take insects as well. There are 26 members in the genus Pycnonotus that can be found in Malaysia, of which the Yellow-vented Bulbul is a member and the least shy and the commonest in cultivated areas. 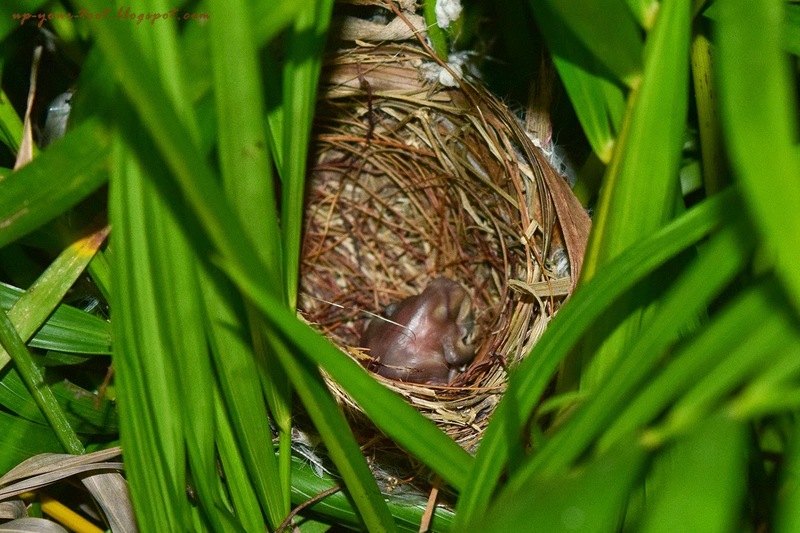 I was quite delighted to find one of their deep, cup-shaped nest in a friend's garden. Two eggs in a deep cup-shaped nest. Today was the first day for the chicks... So hopefully I can track them as they eat, poop and grow up until they fledged. All huddled up in the nest - they are one day old. 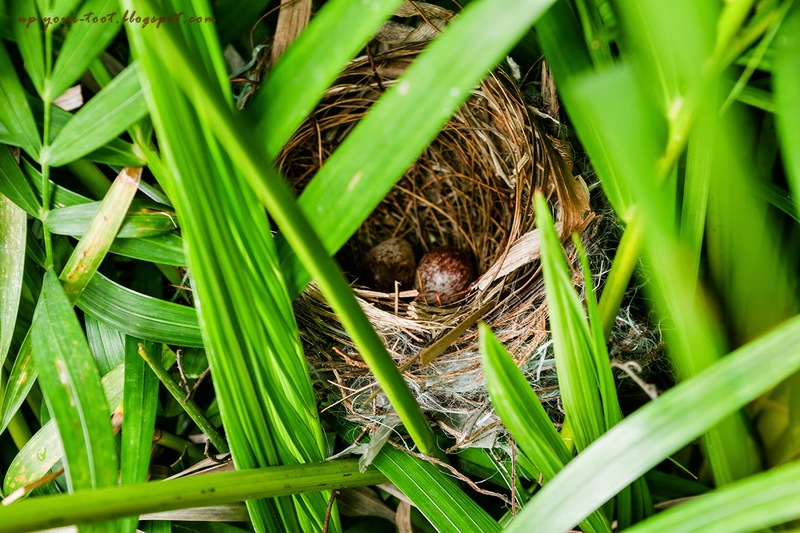 UPDATE: Alas, my dream of blogging about them growing each day was dashed, for when I returned the second day, the nest was empty! There were traces of what looks like blood in the nest. Maybe the crows got to them. I guess this is Nature's way. With less and less place for them to nest, nesting on a balcony means they are susceptible to being preyed on. Comelnya buat sarang at your place. Too bad baby chicks dah 'hilang' the second day. Mungkin gagak dah makan, as I noticed some 'blood' stains in the nest.